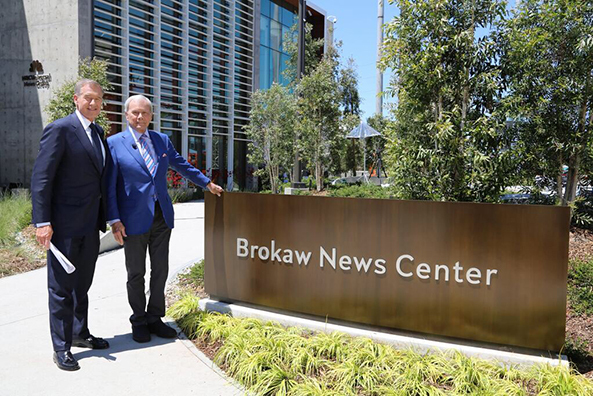 The newly opened NBC News Los Angeles bureau has been named in honor of former “Nightly News” anchor Tom Brokaw. The facility, which opened earlier this spring in Universal City after being relocated from Burbank, also houses studios that are used across the NBC Universal family. The centerpiece of the facility is a working newsroom set — where current “Nightly” anchor Brian Williams, who was in town for the announcement, hosted the broadcast Monday evening.